Yesterday was the most AMAZING day. 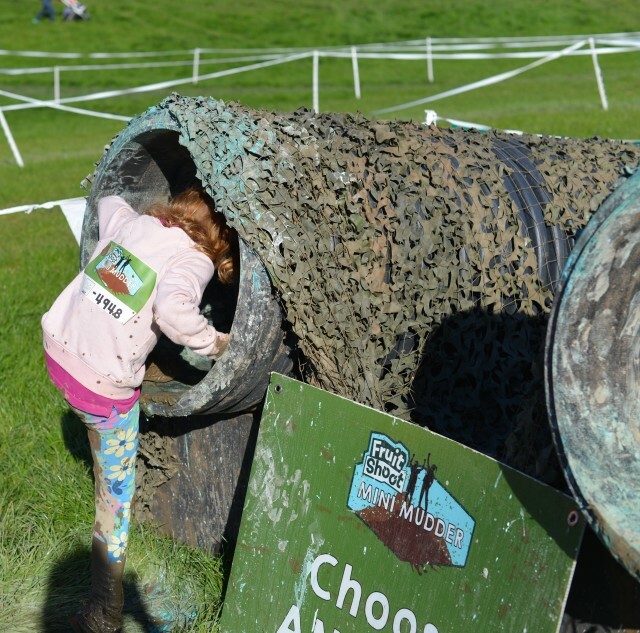 My 8 and 7 year old took part in Fruit Shoot Mini Mudder, which takes place alongside all the grown up Tough Mudder events. 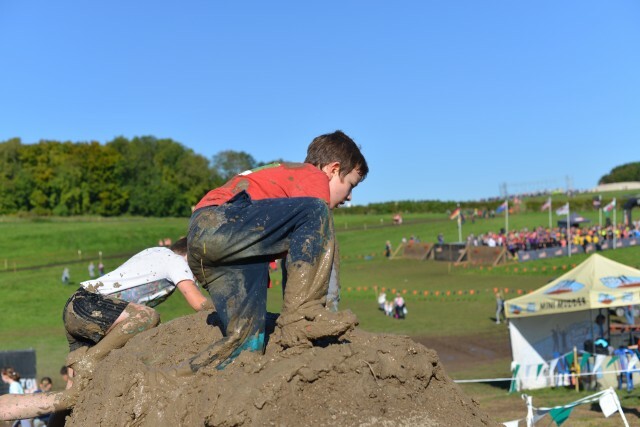 The 1 mile obstacle course is designed for 7-12 year olds with a minimum height of 1.1m. The whole event was brilliantly organised, we arrived at about 9am, parked easily and walked to the registration area where we signed the relevant forms and received the kids stick on bibs. 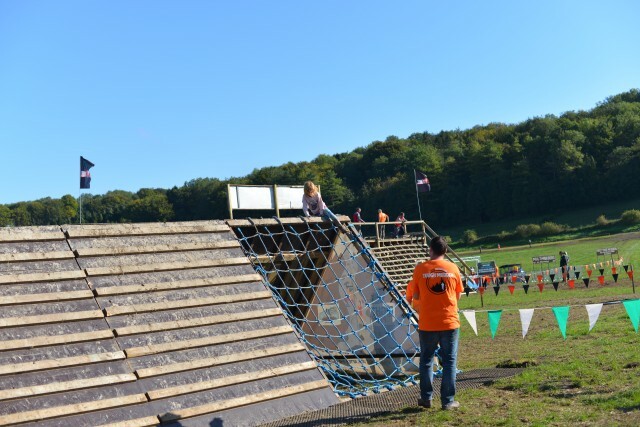 The races started every hour so we happily amused ourselves watching the end of Tough Mudder. 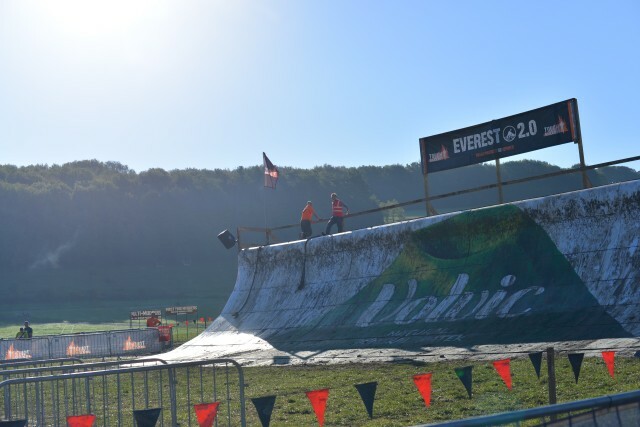 Zak was most excited by the electroshock station, while I was busy wondering how on earth the runners still had the energy to climb this monster after everything else they’d already endured. 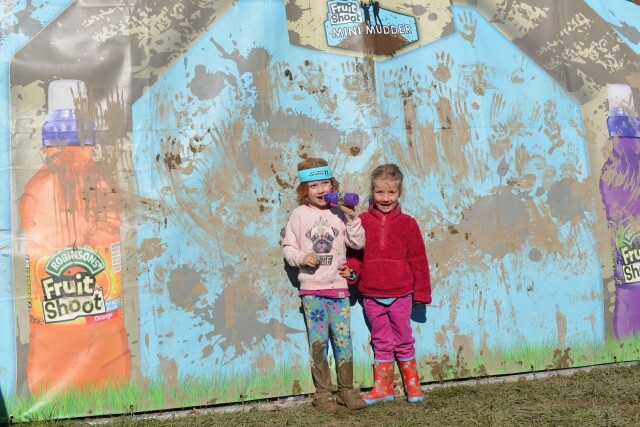 At 9.50 we made our way back to the Mini Mudder area to get ready for a 10am start. The children all warmed up together and then gathered around the starting point. I thought it was brilliant that the race leader rallied them all up, getting them to cheer “you say Fruit, I say Shoot” and “Team” “Work“. The atmosphere was lovely and encouraging. When the starting whistle blew Zak raced off while little Sydney was a bit more reticent, but very brave all the same. The course consisted of obstacles to climb, nets and tunnels to crawl under, hanging bars, a spider web of ropes to navigate, hay bales to clamber over, a mud mountain, tyres to pull and my personal favourite, a giant tray of blue cornflour goo to cross as well as smaller trays the children had to work together in pairs to carry around part of the track. Zak managed to lap Sydney before she was half way around, but I’m very proud that she didn’t give up, after her first lap she burst into tears when she saw her muddy hands, but a very lovely race volunteer let Syd wipe her hands on her T-Shirt and then accompanied her around for another 2 laps as we cheered her on. Sydney only celebrated her seventh birthday two weeks ago, so was just old enough to race. 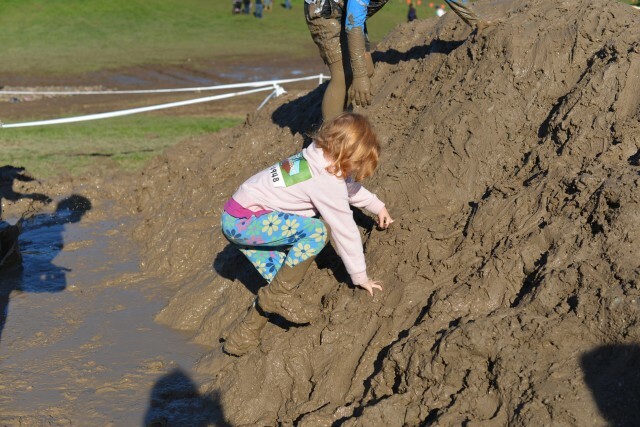 She managed all the obstacles no problem, but did seem to have an aversion to the mud, which is most unlike her. This is the cornflour obstacle, it was hard enough to run over, although Sydney did catch a ride on a spade at one point. Sydney conquering her fear of the mud mountain! 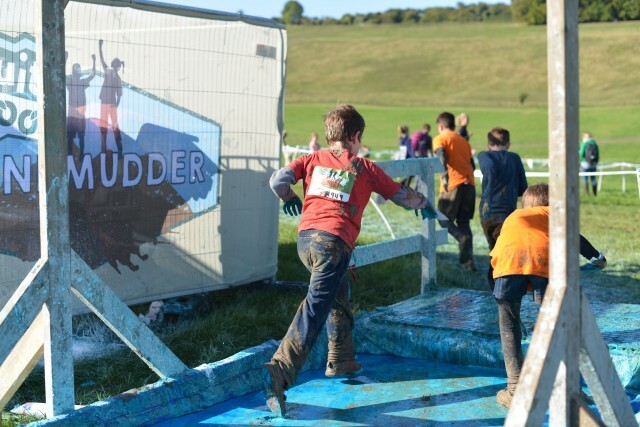 The thing them impressed me so much about Mini Mudder was how helpful and cheery all the staff and volunteers were, nothing was too much trouble and they did an amazing job spurring the kids on. I also thought it was fantastic that there was such an emphasis on teamwork. The little trays of cornflour and tyres had to be pulled/carried in pairs which was great for camaraderie on the way round. Proud finisher with her little sister and of course a fruit shoot! 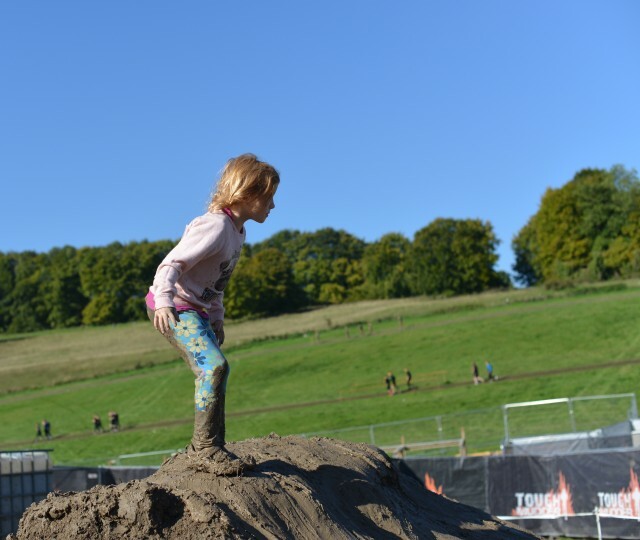 We had the best time at Mini Mudder, Zak though it was the best thing ever and Sydney despite her fears said she would do it again, while I’m seriously considering the adult version. Would that be crazy? 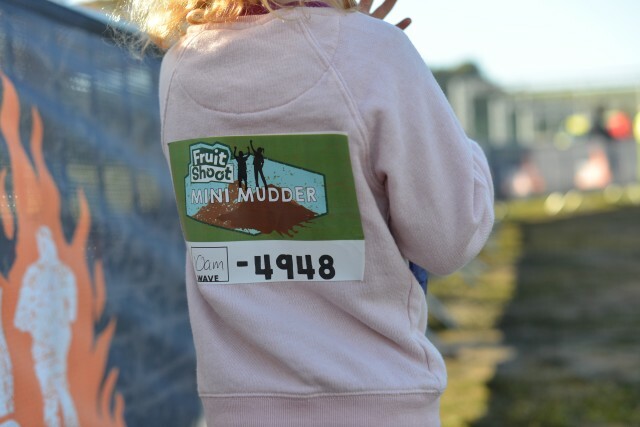 Huge thanks to Fruit Shoot Mini Mudder for inviting us along. This looks amazing my kids would love it! April 30th emma – Henley? My 11yo did this in Yorkshire a few weeks ago and absolutely loved it! My husband did the full version at the same time. He’s already signed up for next years. I shall stay home and eat chocolate thank you very much. Oh my look at the mud! Isn’t this so much fun? M did her first a few weeks back and although it was tough, she loved it and wants to sign up again. Love the idea of the blue cornflour. Oh my goodness this looks amazing, my two would absolutely love this! what a great event for children, so good to get them outside and enjoying running and sport this way. Emma recently posted..Wonder week and how you can save money on pampers nappies. Michelle Twin Mum recently posted..Do you think she is trying to tell me something? 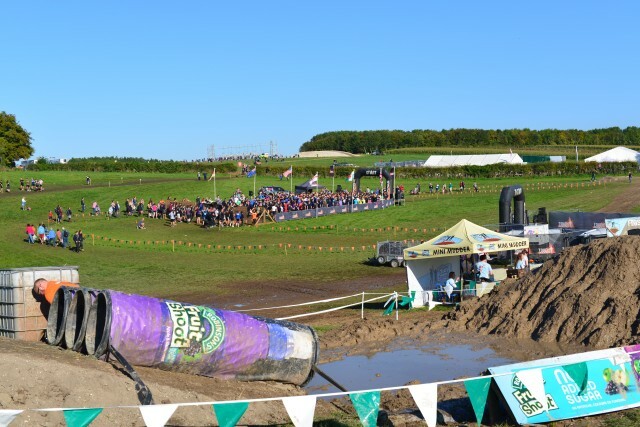 My 3 kids would love to give this a go, so many reasons to get muddy.I’m not sure I’d be much use going round though. My husband wants to do the adult version but I can imagine my 10 year old LOVING this!! Cass@frugalfamily recently posted..Colourful Quick and Easy Vegetable Risotto….